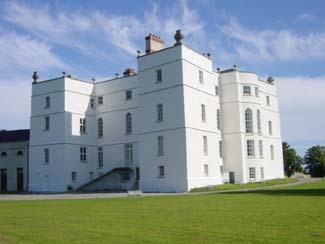 Dating back to the Elizabethan period Rathfarnham Castle with its four flanker towers is an excellent example of the fortified house in Ireland. In the late 18th century, the house was re-modeled on a splendid scale employing some of the finest architects of the day. While the Berkeley Costume and Toy Collection is an exquisite collection of 18th and 19th century toys, dolls and costumes that are brought to life in the magnificent setting of the castle.